Is grammar review and study in your class about as pleasant as giving feral cats a bubble bath with a toothbrush? In the past, I have also experienced the pain of trying to make students motivated when learning grammar. Well, here is one possible solution you could use. I believe that Go Animate is a great website for grammar/listening and even typing practice. 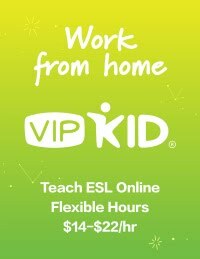 I actually first found it on a Brazilian EFL teacher’s blog that was posted on ELITeacher.org. This site allows users to create free animations (cartoons) and place their own lines into the cartoons.There is a limit of 10 lines per cartoon, but I find that to be more than enough to give the students practice. I use it in my level IV class to motivate students and help them to self-correct their grammar. I usually give students an assignment such as, “Create a six line cartoon that uses the present perfect in each sentence,” and then have them post the link to my Edmodo class page. The best/funniest/most correct cartoon wins a prize for the week. This inspires students to not only be correct with language, but to be creative, which is a problem for many students. Also, you could randomly bring up some of the homeworks that are done by students in class and then have everyone see if any corrections need to be made. I hope that this resource is of use to all of you.